The Mazda CX-3 has a stunning and powerful exterior design. 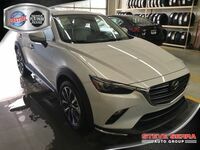 Built with decisive lines in the body and angular lines throughout its details, the Mazda CX-3 has some serious curb appeal. 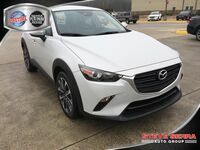 Its striking features and sophisticated styling make this subcompact crossover a smart choice for those who want to mix style with functionality. This vehicle has seating and room enough to store whatever you might need on your next time out on the road. In addition, the performance of the Mazda CX-3 makes driving in more difficult conditions easy. With the availability of adding on all-wheel drive capability, the Mazda CX-3 lets you tackle the tougher elements. 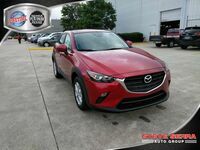 A great choice for adventurers, enthusiasts, and families alike, the Mazda Mazda CX-3 was built to handle it all. With advanced technology and intelligent safety, the Mazda CX-3 is ready to help keep you connected and secure. The Mazda CX-3 is designed to bring sporty and responsive performance. It features agile handling and adrenaline boosting power. When looking for a new vehicle, leasing can be a great advantage. It comes with many benefits that help keep your wallet intact and your vehicle up to date. Leasing can be a great way to get into a new car without making such a big commitment as buying. Also, in general, leasing allows you to have lower payments than you would if you would buy new. It also brings a versatility of choice, as leasing terms are usually shorter than the time you would own a new car, so you can diversify your options. 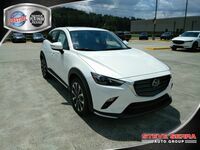 Interested in a New Mazda CX-3 Lease? 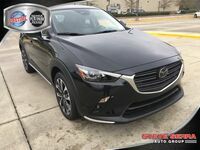 The 2018 Mazda CX-3 has three trim levels - the Sport, the Touring, and the Grand Touring. 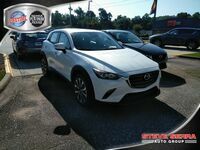 In the 2018 Mazda CX-3, you’ll get to choose between a SKYACTIV®-G 146-hp, 2.0L DOHC 16-valve 4-cylinder engine with variable valve timing. The 2018 Mazda CX-3 offers the availability of i-ACTIVSENSE® safety innovations as well as advanced standard passive safety features. The 2018 Mazda CX-3 offers masterfully crafted interior fabrics and materials paired with a driver-centered design. 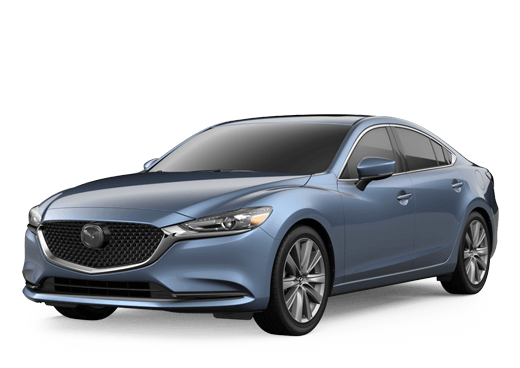 Standard features on this model include MAZDA CONNECT™ infotainment system, rearview camera, and more! 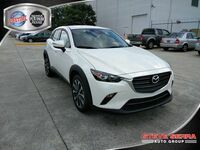 The 2018 Mazda CX-3 can achieve up to a 29 city/34 highway mpg*.